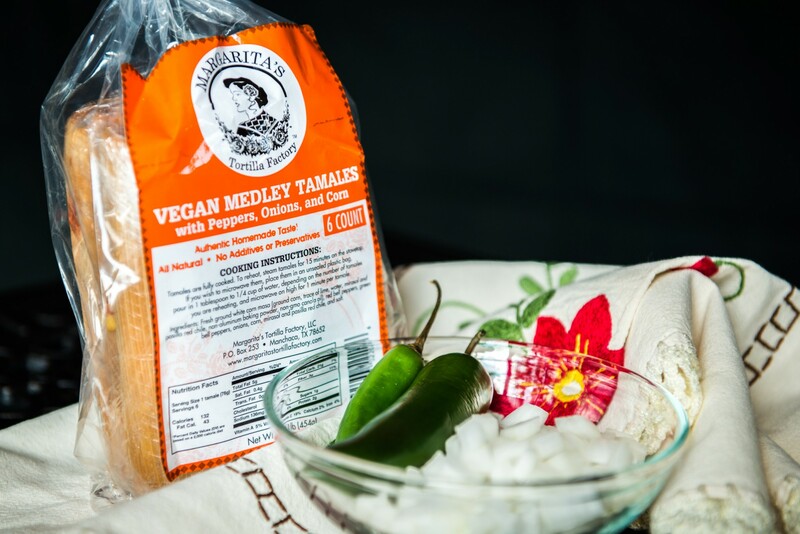 Our Vegan Medley tamales are packed with fresh vegetables. With every bite, your teeth crunch into fresh bell peppers, corn, and onions, perfectly seasoned with the mild but complex flavors of mirasol and pasilla peppers. Fresh stone ground white corn masa, red bell peppers, green bell peppers, onions, corn, mirasol and pasilla red chile, sea salt. 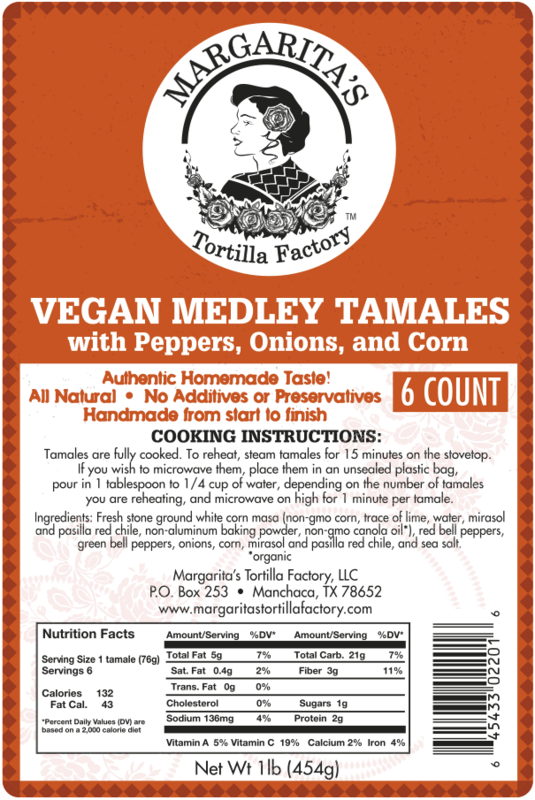 I purchased your Vegan Medley tamales and fixed them for dinner, and I absolutely LOVED them. You have an excellent product. I was very impressed. I appreciate good vegan food.